The Now That's What I Call The 80s Live show will tour the UK later this year. For the very first time, sing, dance and party along to all your favourite hits in a live concert celebration of the ultimate iconic 80s album! Relax, Uptown Girl, It’s Raining Men, Gold, Purple Rain, I Wanna Dance with Somebody, Girls Just Want to Have Fun, Living On a Prayer, Come On Eileen, Africa, Wake Me Up Before You Go Go, (I’ve Had) the Time of My Life, The final Countdown and many more. The trek will call in Leicester, Birmingham, Manchester, Edinburgh, Glasgow, London and Cardiff between November 15 and December 1. Tickets go on general sale at 10am on April 12. 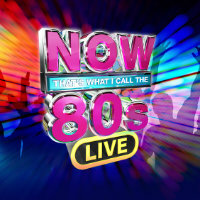 Click here to compare & buy Now Thats What I Call The 80s Tickets at Stereoboard.com.